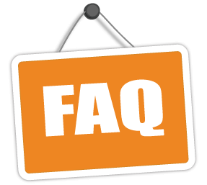 We've created a generator FAQ page to help streamline your buying decision process. If you don’t find what you're looking for here, feel free to send your question using the form below. We're always happy to help! Q. How does a Home Standby Generator work? A. When the power goes out, a home standby generator creates electrical power without using a utility’s electrical source. Typically, a generator is run on fuel, such as natural gas or LPG. When a generator is installed on your home or business, one main breaker is connected to your load center and the other main breaker is connected to your generator. The generator panel is then connected to circuits for critical electrical loads such as the furnace, refrigerator, lights, sump pump, etc. These items must be designated in able to remain on during a power loss. Q. How much does a home standby generator cost? A. A fully installed standby generator can start as low as $5,499 for a 10kW generator using power management. Because every home is unique and power management needs vary by customer, please call us for a free in-home consultation for an accurate quote. Q. What type of fuel does a home standby generator use? A. Permanently installed back-up generators use your homes existing natural gas or liquid propane gas supply. The gas is connected to the generator for automatic fueling during an outage. Q. How is a generator installed? A. Our skilled, factory trained electricians will install your home standby generator. Installation requires electrical wiring, gas connections, permitting (varies by municipality), and potentially trenching, all of which will be managed by our team for full service, worry-free installation. Q. What are the benefits of owning a standby generator? A. Owning a permanently installed generator provides many benefits. Back-up generator provides peace of mind along with monetary savings and avoidance. Regardless if you are home or not, an automatic standby generator will keep security systems on, sump pumps running, lights stay on, heating and air conditioning keeps you comfortable and food stays cold in the refrigerator and freezer. Additionally, due to its growing popularity, a standby generator can add value to your home and potentially provide savings on insurance (check with provider). A. Every home and business is different, along with the power needs of every individual. Because of this variability, the only way you can properly determine the size is by having a qualified dealer visit your home or business. Once on site, the professional can assess the property’s power needs and provide an accurate size recommendation and quote. Q. What is a transfer switch? A. A transfer switch is a device that is fed by both utility and generator power. It isolates the two types of power from each other so a back feed does not occur. National Electrical Code requires a device like this if two types of power are going to feed the house.